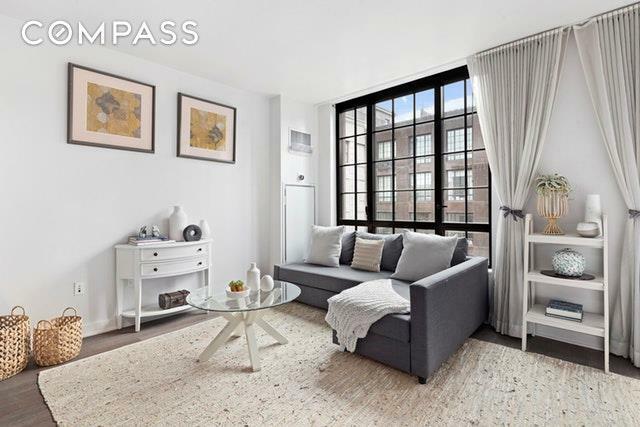 Close to 4% rent yield with the abated tax and 3% yield after the abatement runs out in 2026!A gorgeous loft studio that steals your heart. 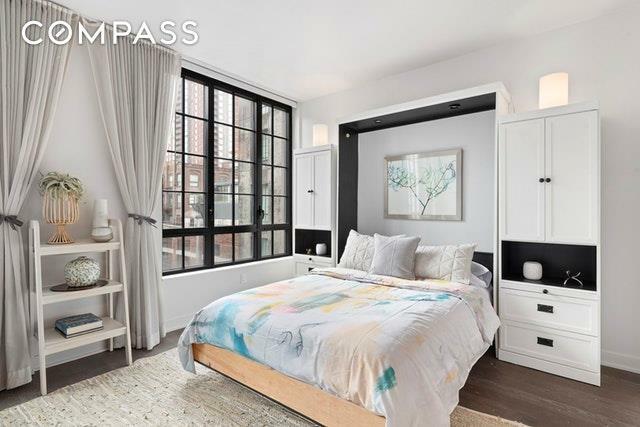 Incredible light and air pour through the large triple-paned casement windows, this home is your oasis in the historical neighborhood of Dumbo. 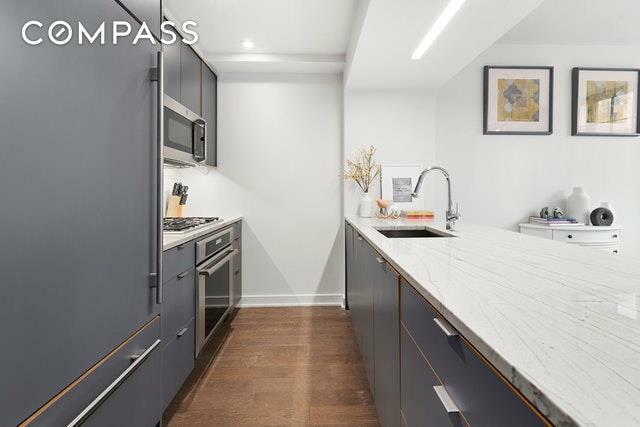 The chef's kitchen features gun-metal gray laminate cabinetry, polished marble countertops and backsplash, with built-in sub-zero refrigerators and Thermador oven/cooktop. Large alcove to accommodate a queen-sized bed with two night-stands. 5-inch fumed oak floors throughout, this home is elegant yet highly functional. The luxurious bathroom is designed to relax and unwind, with a deep soaking tub, natural stone accent walls and Carrara marble countertops. 205 Water is a premier building in Dumbo with LEED Gold certification. Since it opened in 2012, the owners and residents have loved living here. The living-in super and the wonderful staff take care of your every need. 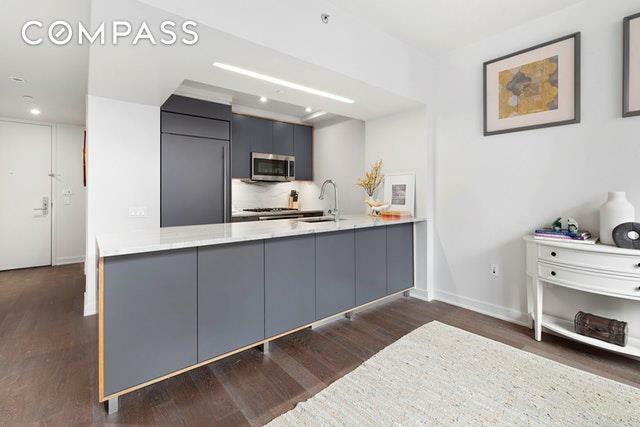 This is a boutique condo building but offers a full array of amenities: 24-hour concierge, fitness room, bike room, common terrace, on-site parking and on-site storage. Located on a cobble-stone street, 205 Water is nestled in a quiet corner of Dumbo. Within walking distance to the F, A, C, 2 and 3. Located only one stop away from Manhattan, Dumbo is highly desirable in its own right. It is picturesque with the bridges, the cobble-stone streets, the converted factory buildings and the Brooklyn Bridge Park. One on-site storage and one on-site parking spot are available for purchase separately.